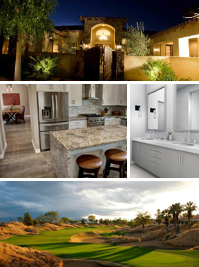 Planning to Sell a PGA West Property? owners selling their homes. Whether you want to sell immediately or are just interested in knowing how much your home is worth, call us today. one of the most active realtors in the valley and were experts on PGA West. They made the listing process easy and the marketing materials they produced for my home were awesome. We quickly received several offers, they did a great job handeling the negotiations, and I got more than a fair price." "There are hundreds of real estate agents here in the desert, but we knew exactly who we wanted to sell our home. Betty and Marshall get results, fast."